2018 Turkey-Broiler Health Management School. 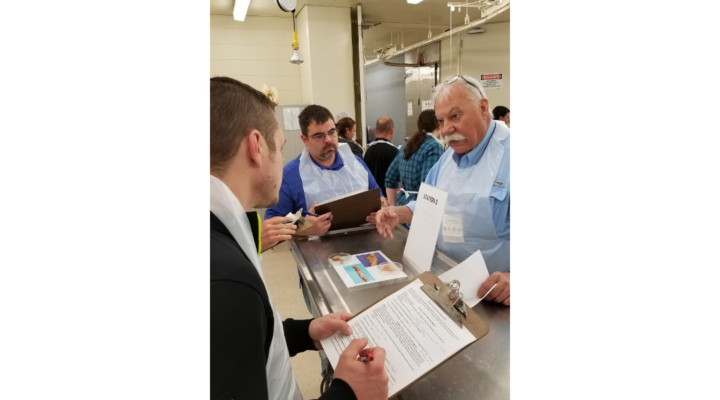 BUFFALO, Minn. — The Poultry Health Management School is excited to announce registration for the Layer and Turkey/Broiler Health Management Schools opened Jan. 7, 2019. The week-long event will be held May 13-17, 2019 at Iowa State University in Ames, Iowa. The topic theme this year is nutrition. New for this year is the addition of a second layer school, which will be dependent on participation interest. • Turkey and Broiler Health Management School: May 13–14 with a welcome reception Sunday evening, May 12. • Layer Health Management School #1: May 14–15. • Layer Health Management School #2: May 16–17 (tentative). A joint layer school welcome reception will be offered Wednesday evening, May 15. Each school is limited to 70 attendees so register immediately to ensure your spot. Only five attendees will be accepted per company to each school. All separate locations count as one total company so please communicate with your other locations before registering attendees. All details regarding the event including: registration, hotel reservations, school agendas and sponsorships can be found at www.PoultryHealthSchool.com. Direct all questions to Rebecca Groos, PHMS Staff at rgroos@minnesotaturkey.com or call (763) 682-2171. The Poultry Health Management School (PHMS) is a well-known, established entity designed to teach modern practices in poultry production and how to implement them on the farm. Since its inception in 2001, PHMS has educated more than 2,000 attendees and continues to be a leader in poultry education for growers and their employees.